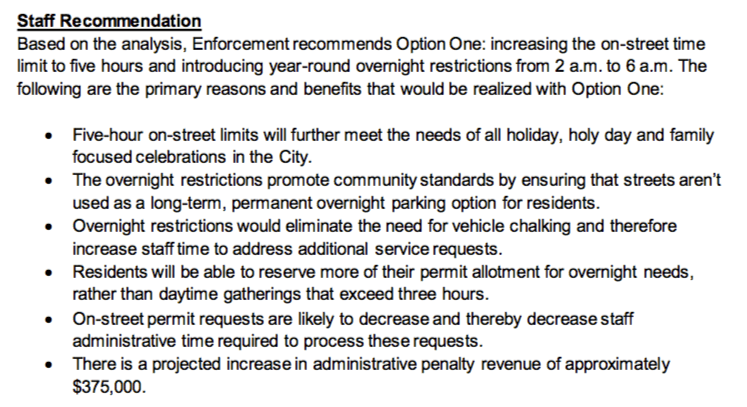 On December 6th at General Committee, staff from the City’s Transportation and Works Department shared recommendations through a corporate report, that daily overnight parking restrictions be introduced from 2 to 6 a.m. and that on-street parking increase from three hours to five hours under the City’s Traffic By-law (555-00). “Parking needs are changing in Mississauga. 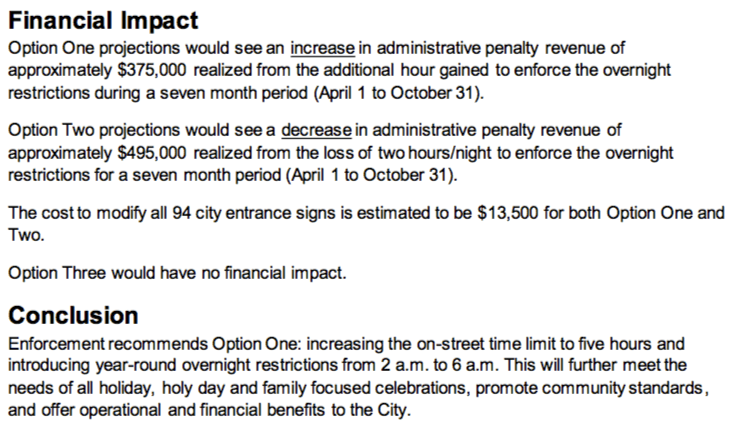 As the city continues to grow and evolve, we want to give residents more flexible parking options such as accommodating increased parking on holy days, holidays and family celebrations,” said Geoff Wright, Commissioner, Transportation and Works. Currently on-street parking is not permitted for longer than three hours and between 2 and 6 a.m. from November 1 to March 31. 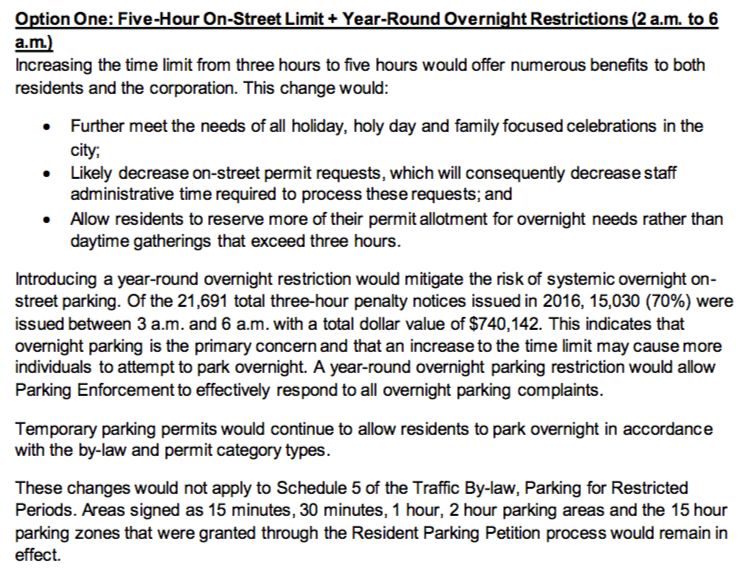 This excludes holiday exemptions and other signed areas for parking beyond the three-hour limit between 8 a.m. to midnight. Extended parking for other days can be requested 24/7 using the City’s Temporary Parking Permit Online Service or by calling 311. During the 2019 business planning process, the City’s Enforcement section will ask for capital funding for the Digital Chalking Pilot Project. Learn more about the City’s Traffic By-law or parking in Mississauga. Yes. Pending approval, overnight restrictions will be year round starting April 2018. Peel Region residents from Mississauga, Brampton and Caledon represent approximately 4% of Canada’s population (just under 11% of Ontario). The 12 Federal seats in the region feature 3 new ridings and together comprises almost 1.5 million constituents. Battleground Ontario starts in Peel, yet the general media’s election night coverage features mostly national results and perspectives. Brampton Focus, and Mississauga Connects, both independent grass roots community based organizations realized that the region’s electorate was void of a dedicated riding by riding hyper local coverage of these 12 important federal seats. A team of over 26 professionals and concerned residents are volunteering time, money, television expertise and technology to create a multi-camera TV studio to host a 4 hour live independent election night streaming broadcast. The broadcast will feature multiple political insider guests, interviews from riding halls and candidates, with up-to-the-minute vote results. A legion of on-site volunteer reporters via smart phone technology are integrated live into the broadcast delivering exclusive and engaging local coverage. Accessible and free to residents with an internet connection. With on-line viewing becoming the future of broadcast, and those who watch conventional broadcasts having a media device open simultaneously, this hyper local interactive coverage by a grass-roots non broadcast voluntary entity is what the future promises to deliver…. today! Watch election night coverage for Peel Region Live at www.PeelPolitics.ca.